Door styles can easily be overlooked when designing and creating your living space, but it is important that the door you choose is right for you and the spaces it sits between. Style and trends in the interior design world are constantly changing; coming and going much like trends in fashion. In interior design today the style of the door can be easily overlooked when it comes to designing and creating your living space, but it is important that the door you choose is right for you and the spaces it sits between. The door creates an impression long before you open it and step into the room beyond. In the past the door was just part of the structure of a house but now can be viewed as a piece of décor, designed with many different styles and materials. 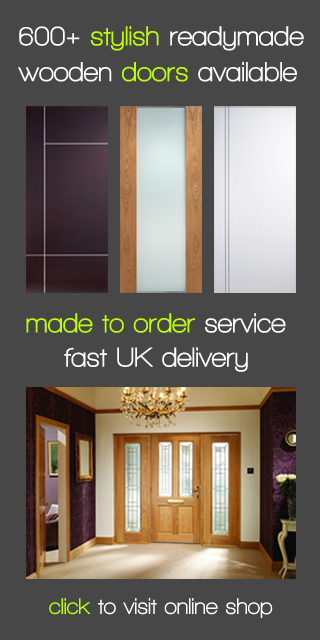 Here at Modern Doors we stock a large range of doors including oak doors, wooden doors, and bespoke doors, traditional and contemporary doors. Home is where the heart is so ensure that the interior design meets your personal taste, when it comes to trends what you prefer should override what the neighbours/ celebrities have or desire. Be individual; make sure that when you walk into your home you feel welcome and comfortable. Also don’t forget to ensure that it is functional and relevant to your lifestyle. In design, recently lighter and softer shades have become increasingly popular, and our doors are specifically designed to complement a range of styles for example our traditional oak doors would look ideal in pastel coloured rooms with country cottage decor. Lately interior design has seen reclaimed, rustic, refined and natural materials such as wood and stone being used in new and unique ways creating a range of fresh and innovative dynamics. Combining a traditional stone floor such as slate with softer wooden features such as the door, fireplace, bookshelves with pastel paints and floral fabric could create that rustic country cottage feel you are looking for. Maybe you would prefer something more vibrant and visually challenging. The colourful look is not for everyone but for the extrovert it is a real opportunity to put your own style and personality into the home, be brave mix pastels with bright, choose furniture and accessories to match and compliment this brave and challenging approach to interior design. 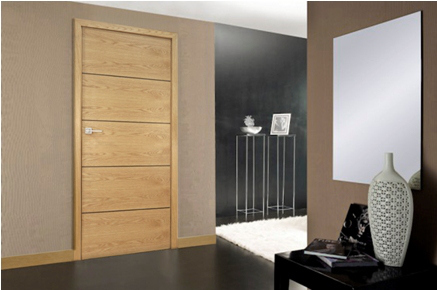 Here at Modern Doors we were particularly inspired by the craft/folk look. This approach is more Bespoke and ever increasing in popularity. For this look your décor should consist of handmade accessories, throws, cushions, unique pieces of retro knickknacks/ bric-a-brac, cute patterned floral and patchwork designs. A traditional style oak door or even a walnut door would suit this style and compliment the floral fabrics and overall organic impression. These are just a few popular trends in interior design at the moment, there are many more, but whatever style you chose make sure that you like it and put your own personal stamp on it. 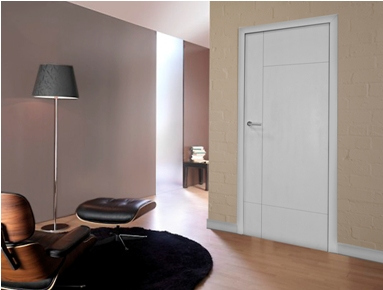 Here at Modern Doors we have a large range of doors designed to suit a range of structures, styles and preferences for more information please see our website. ← What does your door say about you? Copyright © 2019 Modern Doors Ltd.